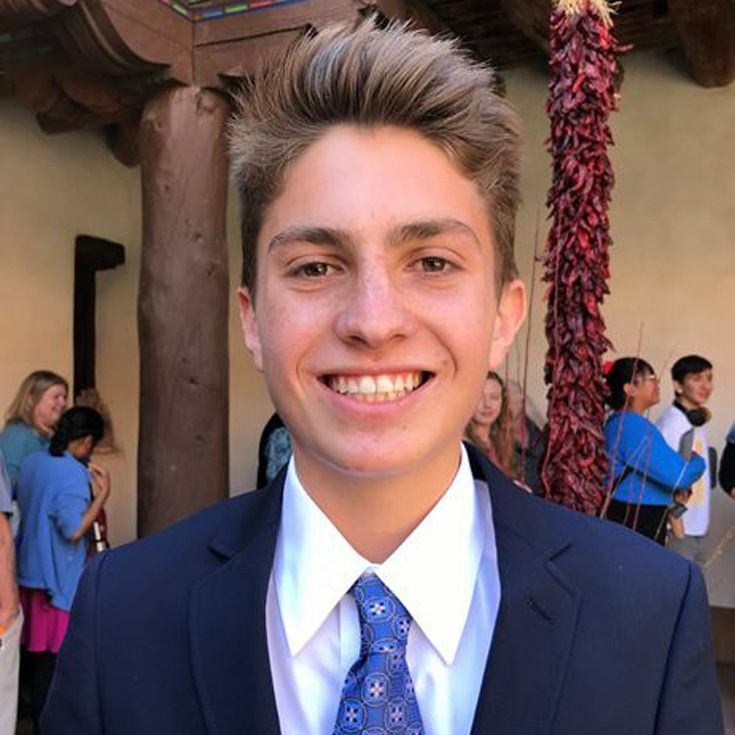 Beating out nine other finalists on Sunday, March 10, in the 14th Annual New Mexico State Finals of Poetry Out Loud, Neil ’20, has earned the state’s top spot and will represent New Mexico in the national finals of Poetry Out Loud: National Recitation Contest April 30–May 1 in Washington, D.C. The New Mexico portion of the national poetry recitation contest is sponsored by New Mexico Arts, a division of the New Mexico Department of Cultural Affairs. For his outstanding efforts, Neil will receive $200 and an all-expense paid trip with chaperone to Washington, D.C. to represent New Mexico at the national finals. Bosque School was also a winner and will receive a $500 stipend to purchase poetry books for the school library. Neil recited three poems during the competition: “Zacuanpapalotls” by Brenda Cárdenas, “Life in a Love” by Robert Browning, and “Kindness” by Yusef Komunyakaa. When the judges' scores were tallied, Neil had scored higher than runner up Abigail from Volcano Vista; 3rd place finisher Michelle from Taos High, last year's state champion; and Zoe from Native American Community Academy. Bosque School has delivered a student-reciter to the New Mexico state finals every year since 2013. Neil is the second Bosque student to win the state competition; Zoe Webb-Sagarin won it in 2014. Congratulations, Neil, and good luck at the national competition! The 2019 National Finals will be held April 30–May 1, 2019, at the Lisner Auditorium at The George Washington University. On April 30, students grouped in three geographic regions will compete in Semifinal competitions. Nine students (three from each region) will advance to compete in the National Finals on May 1. Judges will evaluate each student performance on criteria including physical presence, articulation, evidence of understanding, and accuracy. Top prize in the National competition is $20,000. Poetry Out Loud is a partnership of the National Endowment for the Arts (NEA), the Poetry Foundation, and state arts agencies. The New Mexico portion of the national poetry recitation contest is sponsored by New Mexico Arts, a division of the New Mexico Department of Cultural Affairs. Poetry Out Loud encourages high school students to learn about great poetry through memorization and performance and is the creation of the NEA and the Poetry Foundation. New Mexico students were among approximately 365,000 students nationwide who took part this year at the classroom level.